Nintendo has finally revealed their next generation console and it is a radical change from the company’s normal strategy. The system’s controller includes a huge 6.2- inch touch screen display and twin analog sticks. Formerly known as Project Cafe, the Wii U is one of the biggest announcements at E3 this year. 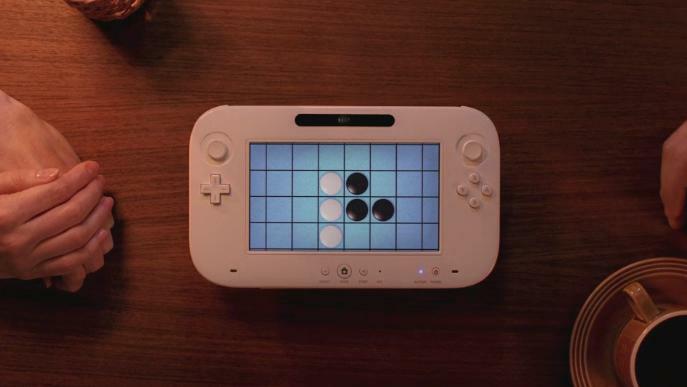 While Nintendo’s new Wii U is dedicated to two-screen games with touch-based controls, both Apple’s iPad and Sony’s PS Vita are exploring similar concepts, each with a few twists. With iOS 5, Apple is revamping its operating system in a major way. One element of this software update introduces AirPlay mirroring. This new functionality can tether an iPad to an Apple TV wirelessly – the latter outputting a game to an HDTV, and the former controlling it while optionally showing additional information on its own screen. Does that sound like something that Nintendo has announced to you? Firemint will be the first mobile developer to release a game that utilizes AirPlay mirroring, in the form of Real Racing 2 HD. The iPad’s screen will show track maps and times while the Apple TV shows the race itself. “We see AirPlay as a real game-changer,” stated Firemint. Sony has also toyed with the possibility of achieving something similar via a PS3 and PSVita combo. During an interview with Develop, SCE Worldwide Studios leader Shuehi Yoshida said, “Already people are starting to ask about linking Vita and PS3 to do something similar, in terms of using two screens, and having controls on the screen. In any case, the concept is anything but revolutionary. Nintendo itself has previously experimented with two-system play in the GameCube/GameBoy Advance era, but decided that the functionality would be worthless on the Wii. What do you, fellow gamers, think? Would you like to see linked-system play in the near future? Sound off in the comments below.